Welcome, readers! Today's topic is all about bountiful baskets and how they are used throughout the seasons, but particularly fall, with the goal of inspiring you with some potentially new ideas. 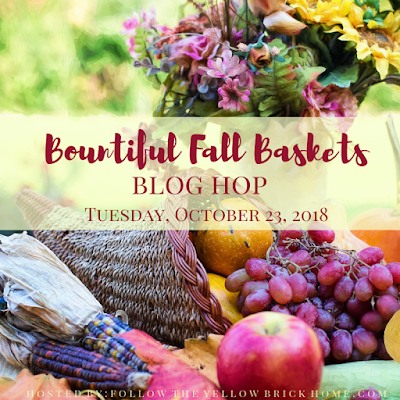 I am sharing my use of baskets while, simultaneously, weaving some of my favorite blog topics throughout. 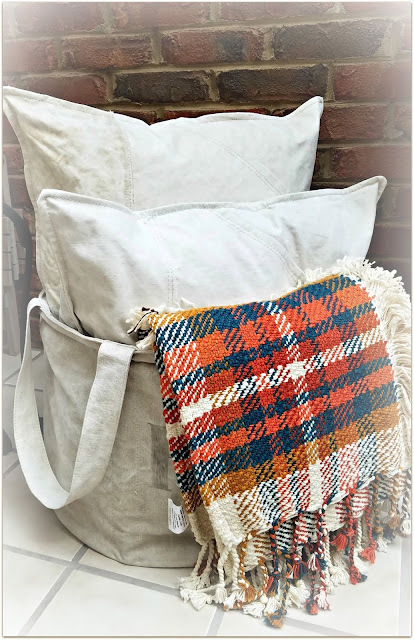 If you're new to my blog, you'll have the chance to get better acquainted with my style in links back to the topics as they are threaded throughout today's post. If you're a regular reader, welcome back. 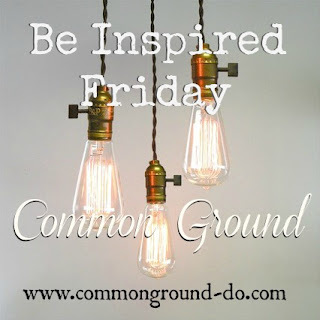 In either case, I hope you find a little take away of something which inspires. 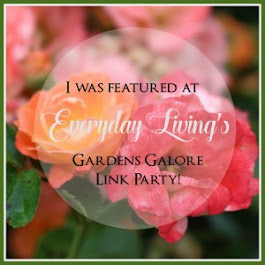 I'm joining several other bloggers whose like-themed links are conveniently shared at the end of my post. If you're coming over from Cecilia's blog, My Thrift Store Addiction, I hope you've had the chance to see some of her unique ways of utilizing baskets. 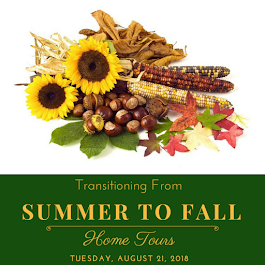 My home decor is one topic I journal with the seasons. 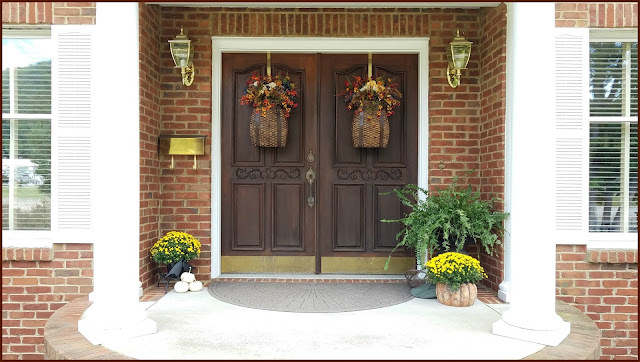 In celebrating fall decor, my use of Adirondack baskets on my front doors was this year's mainstay for welcoming the season. In the leading photo of this post, I also used the party tray woven basket for displaying my pumpkin patch. In years past for fall decorating, I have used simple bushel baskets for a spill effect with small pumpkins and Indian corn on the porch. Since the squirrels enjoyed making a mess of the buffet they found in it, I've since abandoned the Indian corn element. I was having to clean the messes within ten minutes of arranging! 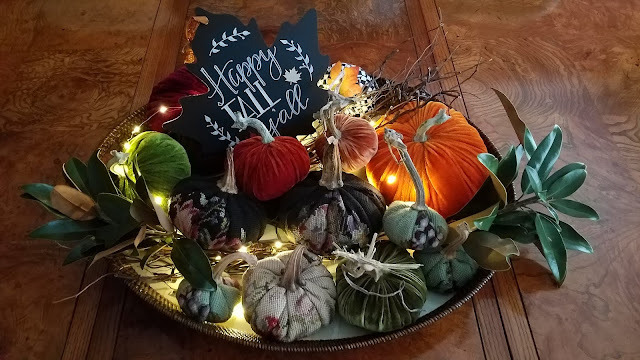 But the spill effect can still be accomplished with small pumpkins, leaves, etc. 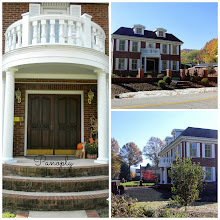 My landscape garden is most definitely one of my favorite hobbies and topics on the blog. 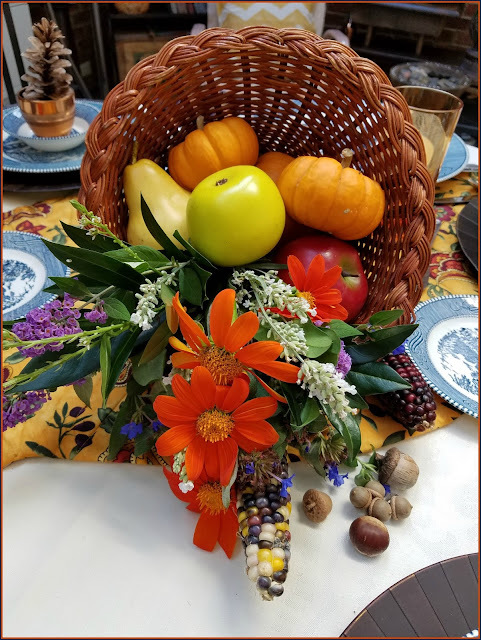 A cornucopia basket with one of the garden's last bouquets made a colorful fall table centerpiece a couple years ago, as seen below. 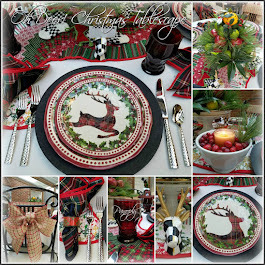 Tablescaping is also a favorite topic on my blog. 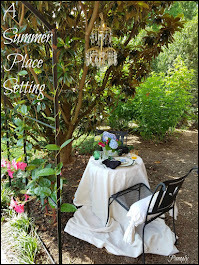 I love styling tables such as this one, incorporating garden and vintage elements as often as I can. 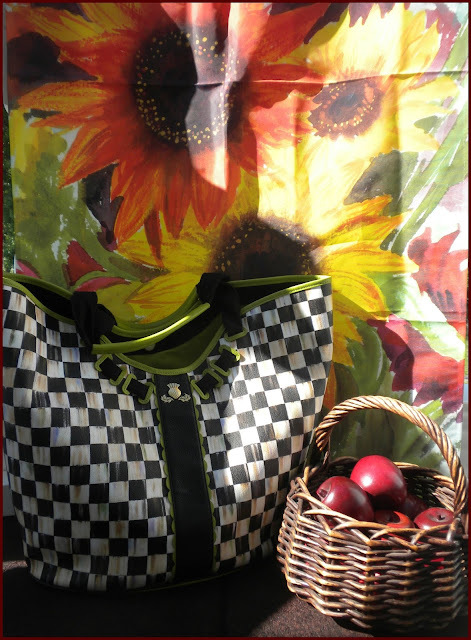 Outside by the garden flag, I used a basket and wooden apples (vintage finds) alongside my MacKenzie-Childs bag as a teaser for an installment of the Tales of the Traveling Totes, another of my blog's topics. 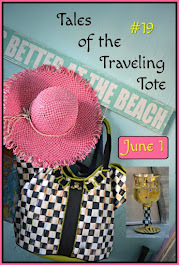 The basket has come in handy for the real deal ever since, and the tote is my constant companion. 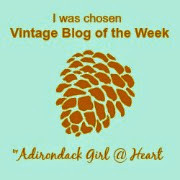 I mentioned the basket and apples above as vintage finds. 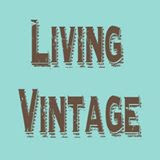 Another blog topic and hobby near and dear to my heart is antiquing with my Panoply sisters (the reason I started blogging in the first place!). Another vintage find a few years ago was the French market basket on wheels pictured below. 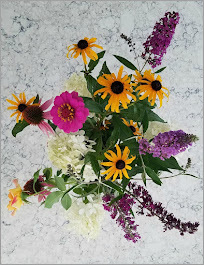 With it, I've created floral arrangements with plants straight out of my landscape garden. 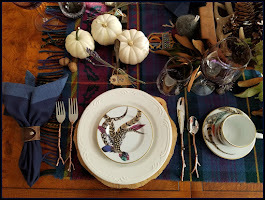 The arrangement below was created as a tutorial to demonstrate fall styling with clips from my garden. Yet another arrangement of mine in the market basket was the holiday styling below. A smooth transition from fall to holiday/winter styling, I utilized several of the same garden plants and simply tucked in some little lights. Elsewhere indoors, some baskets are simple, utilitarian vessels. 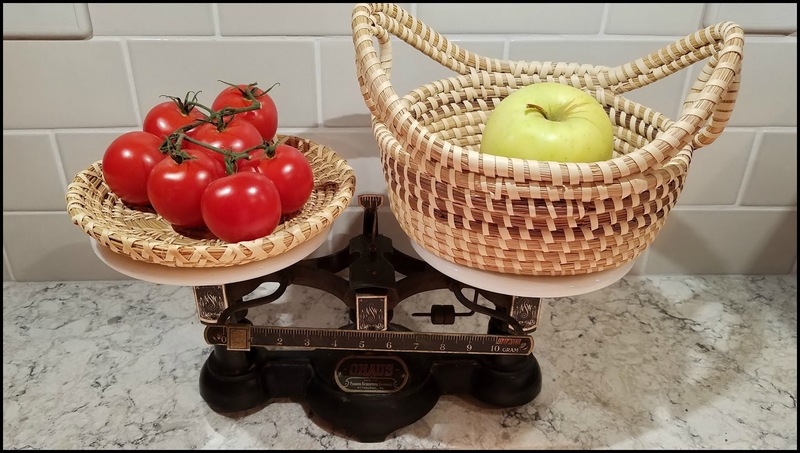 The sweetgrass baskets pictured on my kitchen scale below hold produce I like to store at room temperature in everyday living. Sweetgrass is a tall, supple water plant indigenous to the Lowcountry of Charleston, SC, where these baskets originated. 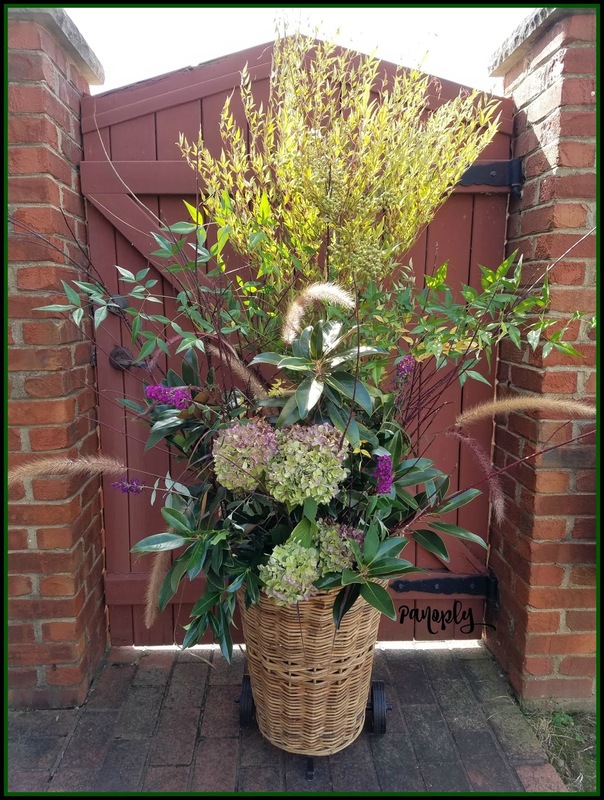 From the hands of the African slaves brought to the Lowcountry, this basket-making tradition still thrives in the area. My baskets, as well as the countertop scale, are also past vintage finds. In the sunroom, a canvas basket is a mainstay for garnering extra pillows and seasonal throws. 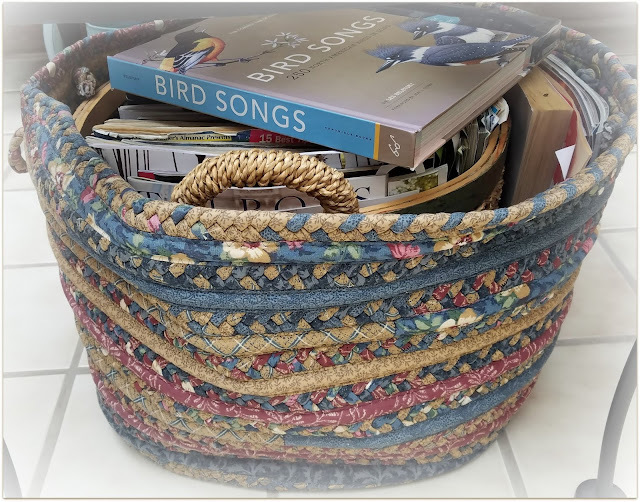 A woven basket under a table in the sunroom has been a staple for many years for me, corralling all my mail order catalogs. 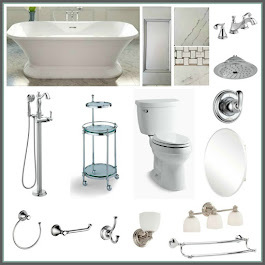 I've used this method for so many years, I instinctively know where I will find a particular catalog, just based on the repeated purging and updating I've done with new ones in, old ones out. I keep my bird songs book handily on top for when new birds are spotted in the garden and I want to identify them. 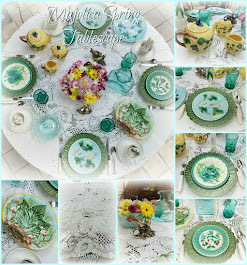 Last but not least, another topic I dish on every now and again on my blog is miscellaneous musings. 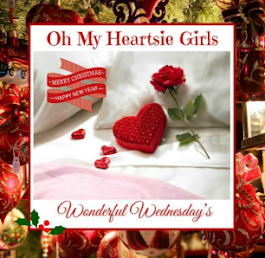 In this post, I was musing on the fact that this time of year is quite a blur of so many holidays being exploited simultaneously. 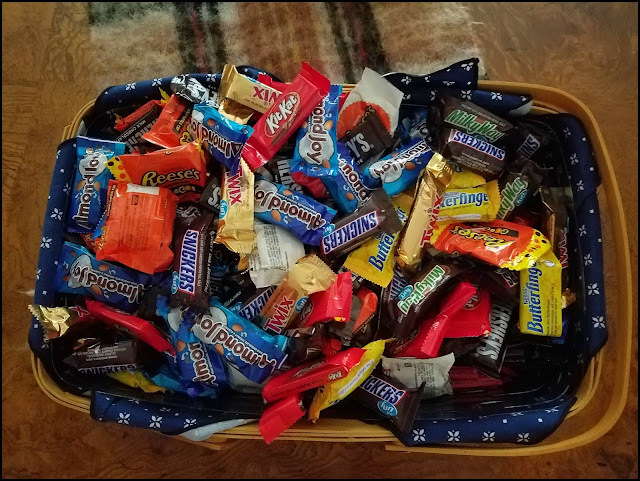 A very important use of basket for this time of year - a basket full of Halloween candy for trick-or-treaters (or just us, as the case may be)! I hope you've enjoyed visiting today and getting acquainted with me and my basket full of topics. 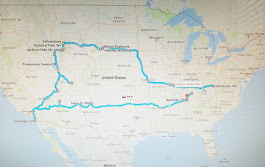 I hope you'll leave a comment to let me know you stopped by, and if you're so inclined, come again or subscribe for regular posts in your mail. I won't sell your email, and I won't inundate you with emails, that I promise. Next on the tour is Carol from the blog, Art and Sand. 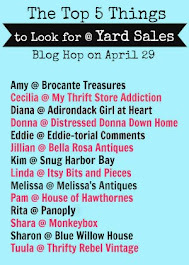 A big shout out goes to Amber Ferguson of the blog Follow the Yellow Brick Home for hosting and organizing this bounty of bloggers today!